For both men and women, knowledge of men’s grooming items might be tasking, whether it’s for gifting a loved one, or for personal use. Among the most common grooming preferences for men include the beard, which has been in fashion for ages. Products and techniques have since been developed to ease on the styling and basic outlook for the beards. Products such as beard wax, beard oil, and beard balm are commonly used for this purpose. Despite the common use, most people do not differentiate these products. 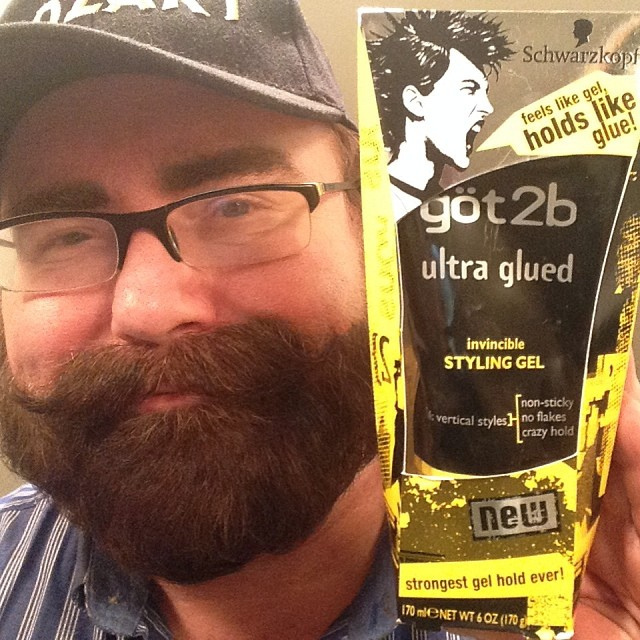 This is a leave-in conditioner that basically softens, conditions and moisturizes beard hair. It is made with ingredients including; essential oils, a sealant, usually wax, carrier oils and moisturizing agents, such as cocoa or mango butter. This adds to its smooth consistency nature which is ideal for shaping and styling of beards. The balm, however. Leaves a residue on the hands if the beard is touched after the application. This is a mixture of beeswax, moisturizing agents and essential oils that is mainly used for taming and sculpting wild beard. In the beard wax, the beeswax is more dominant among the ingredients, to provide a stronghold. Others may include lanolin as an ingredient which has a similar function as beeswax. It also contains essential oils and moisturizing agents which nourish, hydrate and conditions the beards. The product is more popular among men with long and unruly beards and is used to keep them in place while protecting against harsh conditions such as wind and rain. Both contain some similar ingredients such as essential oils and moisturizing agents. 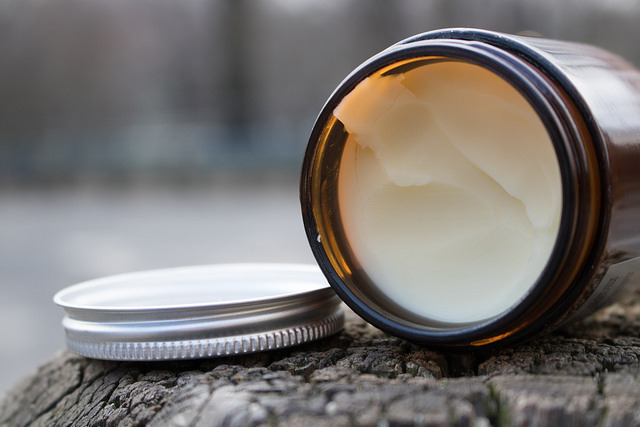 Beard balm is a leave-in conditioner that basically softens, conditions and moisturizes beard hair. On the other hand, beard wax is a mixture of beeswax, moisturizing agents and essential oils that is mainly used for taming and sculpting wild beard. While beard balm is basically used for shaping and styling beards, beard wax is mainly used for taming and sculpting wild beard. The ingredients in beard balm include essential oils, a sealant, usually wax, carrier oils and moisturizing agents, such as cocoa or mango butter. On the other hand, the ingredients in beard wax include beeswax, moisturizing agents, essential oils and Lanolin, which has a similar function as beeswax. Both beard balm and beard wax are essential components in the beard grooming. Despite the fact they have different uses, both nourish, hydrate and conditions the beards. Beard balm is however commonly used for shaping and styling of beards while beard wax is mainly used for taming and sculpting wild beard. Tabitha Njogu. 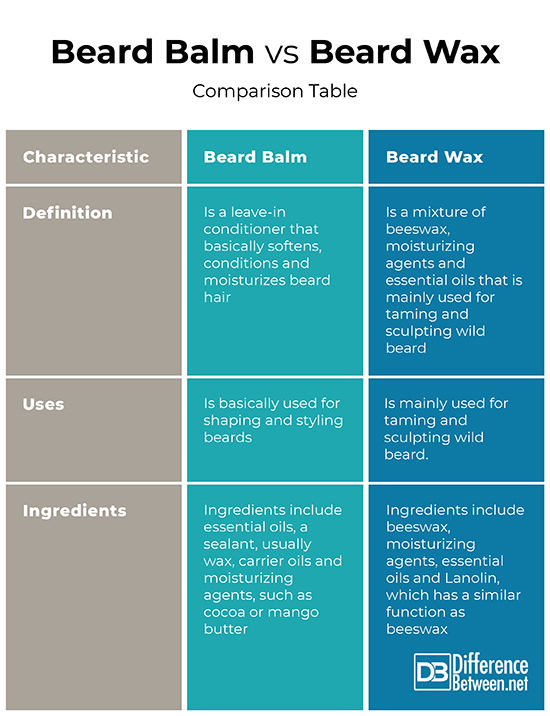 "Difference Between Beard Balm and Beard Wax." DifferenceBetween.net. April 1, 2019 < http://www.differencebetween.net/object/difference-between-beard-balm-and-beard-wax/ >.